The forests, waterfalls, and farmland of the Cascade foothills serve as a retreat for many seeking a break from the urban lifestyle of Seattle, less than an hour away. 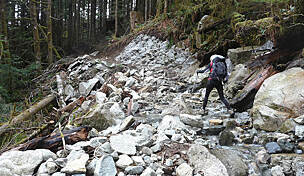 The Snoqualmie Valley Trail rolls through this area for 32 miles on a hard-packed, crushed-rock surface. Along the way, the abandoned railroad line connects small towns that got their start more than a century ago in the dairy, logging, and railroad industries. The Salish Lodge & Spa next to Snoqualmie Falls serves as the base camp for two days of out-and-back bicycle riding—40 miles the first, 20 the second—on the Snoqualmie Valley Trail. You’ll head north on Day 1 to sustainable farms and dairyland towns. On Day 2, you’ll travel south through historical railroad towns into the Cascade foothills to a pristine lake that covers a submerged ghost town. Landing at Sea-Tac Airport, drive to the lodge (about an hour, depending on traffic) with your bikes or rent them from North Bend-based Compass Outdoor Adventures, which delivers to the hotel. There’s plenty of exploring you can do at the lodge and falls the afternoon you arrive. Although lodging on this site dates back to a small inn of 8 rooms built in 1916, everything but the fireplace was replaced in a 1988 remodeling. You’ll probably want to start your day with the four-course country breakfast that features honey from the lodge’s own hives; the two restaurants also are open for lunch and dinner. The roaring Snoqualmie Falls drops 268 feet over a ledge next to the lodge. Follow the path from the lodge to an observation platform that offers an unobstructed, but sometimes misty, view of the falls. 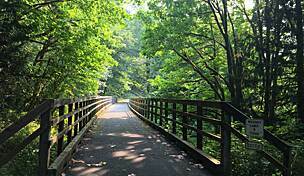 If you’re up for a hike, a half-mile nature path heads down to the river level. Visited by 1.5 million people a year, the falls is on the National Register of Historic Places primarily as a cultural and spiritual center for the native Snoqualmie people. It also provides hydroelectric power for the Puget Sound Energy. The Snoqualmie Falls Hydroelectric Museum (Wednesday through Sunday) for the 120-year-old project is located across the river. After breakfast, carefully cross State Route 202 and ride uphill on Tokul Road SE for 0.7 miles until you see signs for Snoqualmie Valley Trail. The trail crosses the road in a culvert here, so you’ll need to walk your bike down a short, rocky slope to the old railroad cut and turn left. This is the old spur line of the Chicago, Milwaukee, St. Paul and Pacific Railroad, aka the Milwaukee Road. 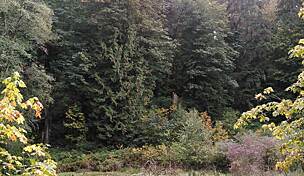 This segment connected with the Seattle to Chicago main line in the vicinity of Rattlesnake Lake and was in use from the early 1900s until the 1970s. A welcome sign asks you to report any bear or cougar sightings along the trail. Neither is likely, but you might spot deer in the woods or elk. 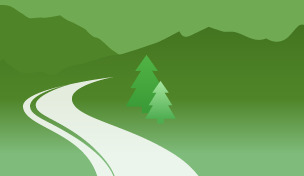 The trail follows a gradual downhill grade for about 8 miles along a ridge from the level of Snoqualmie Falls to the farmland in the Lower Snoqualmie Valley. This forest of Douglas fir and western red cedar is a popular mountain biking area, and you’ll notice single-track heading into the woods. This is a working forest, owned by Hancock Resource Management. Permits to use the network of single-track off the main trail are available at the website. After crossing a couple of high trestles that offer views of the valley below (better in the fall and winter when the big leaf maple branches are bare), the trail flattens out. Don’t be surprised if you hear a train whistle blowing nearby. It comes from a train ride that’s just one of the many attractions at the 200-acre Remlinger Farms, part working farm and part low-key amusement park. 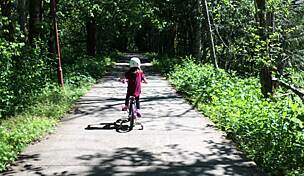 You can access the park by walking your bike down an embankment to a gravel road below. Follow the road to the right and you’ll come to the entrance, where you can a buy pie or fresh fruit in the market or pay to enter the park, which is open summer through fall. Some of the amusements, such as an old-timey car ride, date to the Seattle World’s Fair in 1962. 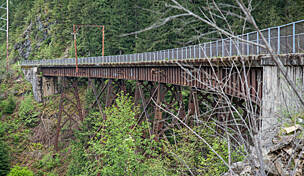 The half-sized steam train ride takes you within sight of the Snoqualmie Valley Trail. 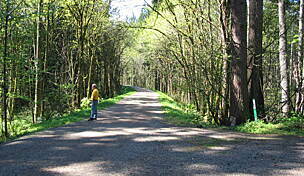 Back on the trail, you’ll cross the Tolt River before arriving at Nick Loutsis Park in Carnation. Originally founded as Tolt, the residents finally landed on the name Carnation to commemorate the nearby dairy research facility founded in 1908 where “Carnation Condensed Milk, the milk from contented cows” was developed. Many of the old hay barns you’ll see from the trail north of Carnation date from this era. Leaving the trail to the left onto Entwistle Street takes you to the small business district where you can find traditional fare and spirits at Pete’s Grill and Pub. At Dog Mountain’s Farm to Table, which is located in an old gas station, the cooks serve organic dishes using ingredients grown at their sustainable farm just up the road. 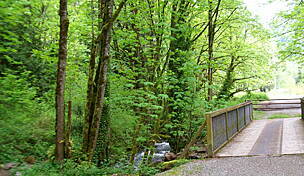 A scenic spot for a picnic is across State Route 202 at Tolt-MacDonald Park on the confluence of the Snoqualmie and Tolt rivers. 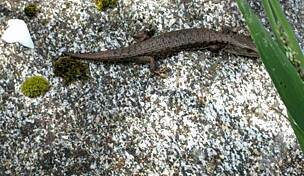 The trail from Carnation follows the Snoqualmie River upstream across floodplains and the 450-acre Stillwater state wildlife area. Keep your eyes open for beaver lodges in the ponds next to the trail, as well as the waterfowl and birds of prey that frequent the marshy area. About 9 miles from Carnation you arrive in Duvall, a historical small town that is obviously undergoing a resurgence of development. This was a port for steamboats that plied the Snoqualmie River before the railroad arrived, as is explained on interpretive signs at the riverfront McCormick Park. The original train depot has been moved to a spot just off the trail on Stephens Street. Climbing uphill to Main Street, you’ll see where the small renovated downtown coexists with the newer commercial district. There are several coffee shops amid the arts center, antique stores, and used bookshops here. The Grateful Bread bakery offers light fare from cinnamon rolls to deli-style sandwiches. The Grange Café, located in the historical Grange Hall, offers full meals created with fresh, local cheeses, dairy, meats and vegetables. Leave room for dessert at CC’s 2.0 Espresso & Ice Creamery, right there on Main Street. If you’re lucky, you might arrive in town for such events as the Sandblast Festival of the Arts, the Duvall Art and Wine Walk, or other events that take place through the year. Check the calendar. When you’re done with Duvall, coast back downhill to the trail and turn left. After you arrive in Carnation, remember to fill up the water bottles for the final 8 mile push back to the Salish Lodge in the Upper Snoqualmie Valley. If you need to wash some dust out of your throat, you’ll want to consider the Snoqualmie Brewery and Taproom just off the main drag in Snoqualmie when you return. Today’s ride is about half the distance, but involves more climbing, about 500 feet elevation gain up to Rattlesnake Lake. After a morning meal, you’ll turn right from the Salish Lodge parking lot for a brief spin on the shoulder of State Route 202. 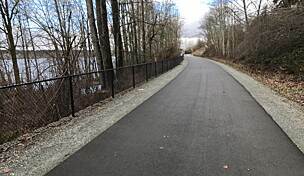 Use the sidewalk crossing over the Snoqualmie River (check out the view to the right as the river drops from sight) and pick up the Centennial Trail. Only a half-mile long, the trail parallels the extensive outdoor collection of steam locomotives and vintage freight and passenger rolling stock of the notable Northwest Railway Museum. This is a destination for railroad buffs who gather at the restored 1890 railroad depot (listed on the National Register of Historic Places) on King Street and revel in the collection of memorabilia on the tracks and in the museum. On weekends from April through October and December, the museum runs steam passenger train service on its 5 miles of track between Snoqualmie Falls and North Bend. Originally built in 1889 by the Seattle, Lake Shore and Eastern Railway, the Northern Pacific later acquired the line. The depot is the centerpiece of the annual Snoqualmie Railroad Days celebration held in mid-August to keep the area’s Trains, Timber, Tradition heritage alive. Snoqualmie’s history as a bustling lumber town is commemorated one block north of the Railway Museum by a 26-foot-long section of Douglas fir known as the “Big Log.” It went on display in 1977, gaining lasting fame as another location shot from the Twin Peaks TV series. Returning to the trail, you’ll notice the grade start to rise slightly as you head toward a noticeable “V” in the mountains ahead. The trail crosses the sparkling South Fork Snoqualmie River and begins the easy 2.5-mile grade through forest that ends at Rattlesnake Lake. Follow the signs across Cedar Falls Road to the 111-acre lake that’s a popular daytime destination for families. (Remaining on the trail takes you to the cross-state John Wayne Pioneer Trail in Iron Horse State Park in a short distance.) After swimming in the lake or relaxing on the wide lawns at the recreation area, some folks decide to make the 2-mile hike up the switchbacks to Rattlesnake Ledge that is reflected in the lake. From the top, Rattlesnake Lake looks like a backyard wading pool some 2,500 feet below. The recreation area, owned and operated by Seattle Public Utilities is home to the state’s only underwater ghost town. The utility long ago blocked off all public access to the nearby Cedar River watershed that provides 70 percent of Seattle’s water supply. When they began storing water in a nearby dammed lake in 1915, seepage through glacial deposits caused the water level in Rattlesnake Lake to rise and flooded the town of Moncton (pop. 200) on the north shore. To learn more about Moncton and the local flora and fauna, or to just fill up your water bottles (oddly there is no water service at the lake), follow the signs to the Cedar River Watershed Education Center at the south end of the lake. Even if the museum is closed, you can enjoy the beat of dripping water onto drums in a courtyard irrigation system. The utility also offers limited tours of the watershed from the museum in the summer. Returning to the trail, you have a nice 7-mile downhill into North Bend. You might consider rewarding yourself with a visit to the North Bend Bar and Grill (located at Ballarat and North Bend Way). Plowing ahead to Snoqualmie, either leave the trail at Mount Si Golf Course and retrace your route, or follow the Snoqualmie Valley Trail detour signs. 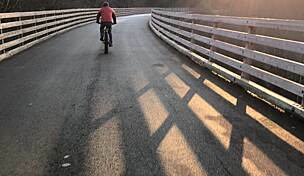 The route takes you across the Snoqualmie River on a picturesque trestle that ends in a flight of steps down to Reinig Road. Go left at the bottom of the steps then take the right fork onto SE Mill Pond Road. This scenic detour offers reflected views of Mount Si in the pond and a distant glimpse of the old sawmill that once employed 1,500 people. When you get to Tokul Road, turn left to return to Salish Lodge and the falls.